Most of the hubbub around cloud services is discussed in terms of those in business services. Companies working in the financial sector, in marketing, consulting, insurance, and other business services all can gain major advantages by migrating processes and storage to the cloud. However there are plenty of other industries out there that can enjoy the benefits cloud computing can provide. One such industry in particular is the construction industry. Contractors, architecture firms, and building material suppliers can all enjoy streamlined business operations (and competitive advantages) by utilizing the power of the cloud. A large percentage of businesses perform the bulk of their business operations within a centralized office. This is not the case for the construction industry. 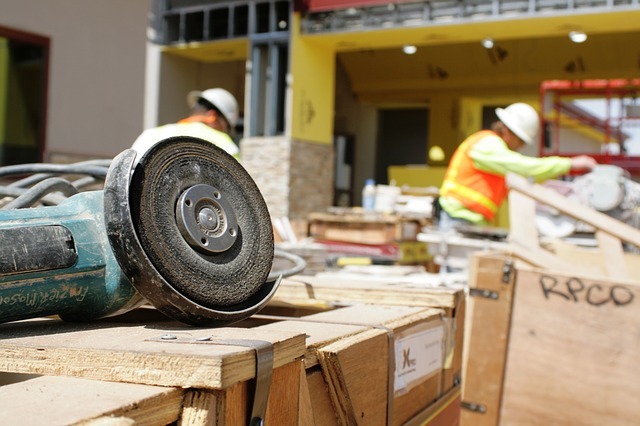 Although construction companies have home offices for business operations such as administration, billing, and payroll, a lot of activities happen outside of the office in the field. With the cloud, contractors have access to their email via tablets and laptops, work files, and can even collaborate on plans and documents with staff back in the office. When working on a construction site, being able to seamlessly connect with the home base saves a lot of time and improves communication and the flow of operations which an optimize the amount of time required for a specific building project. Working in the construction industry, you constantly are collaborating with multiple outside agencies. While a construction firm will have multiple employees internally, they often will have to collaborate with sub-contractors, building material suppliers, electricians, plumbers, and other staff members from third-party agencies. With the cloud, managing and collaborating with users who aren’t in-house staff is very easy to do. Real-time document collaboration saves time from having to email attachments back and forth. Plus as projects grow, so do storage requirements. If 3D drawings and blueprints increase in size as more parties become involved, the cloud is elastic enough to support increases or decreases in file size, without impacting performance or data integrity. Construction companies deal with budgets that fluctuate regularly. The costs of raw materials can rise and fall without any given notice. In increase or decrease in oil costs can impact the cost of materials such as PVC piping and other plastics as well as the cost for transportation. With the cloud, IT budgeting becomes a lot easier to do. Companies can scale up or down as needed and they only pay for the storage space and computing power used. Being able to better budget IT needs means companies have a little more wiggle room when it comes to planning for operating budgets that at times can be unpredictable. The cloud offers benefits to companies in multiple verticals including the construction industry. Learn more about how cloud solutions and managed IT services can improve efficiency and boost productivity for construction companies here.